The number of tellers who take leave to comply with mandated audits. Automatically transfer employees between branches. Easily budget leave time for mandated teller auditing. 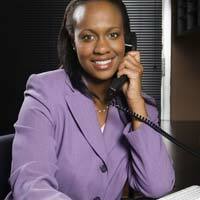 For the head teller, controlling teller absenteeism and maintaining coverage for peak times is a chief concern. Attendance on Demand presents absentee information in a distilled format so the head teller can supervise tellers effectively. Worked hours can be tracked in several ways using Employee Self Service online timesheets.